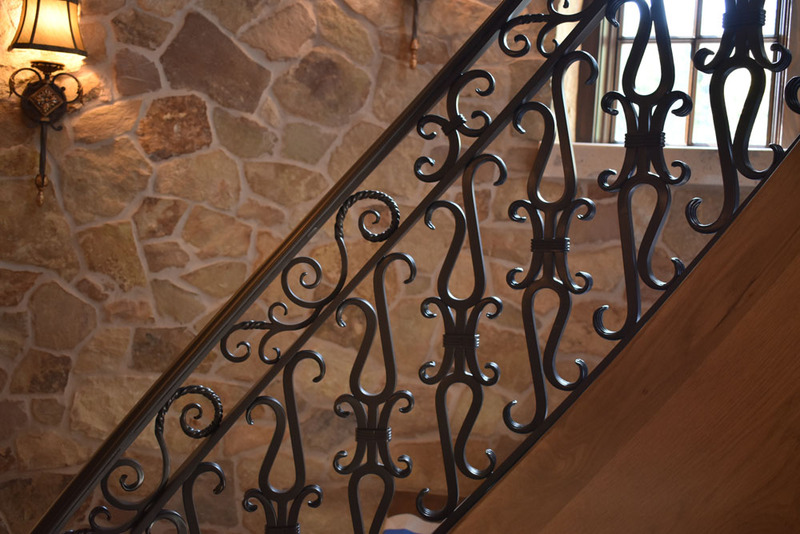 A couple was building an upscale custom New Jersey home, and loved antiques and Wrought Iron, especially Old Wrought Iron railing created by America’s Most Celebrated Artist Blacksmith, Samuel Yellin. 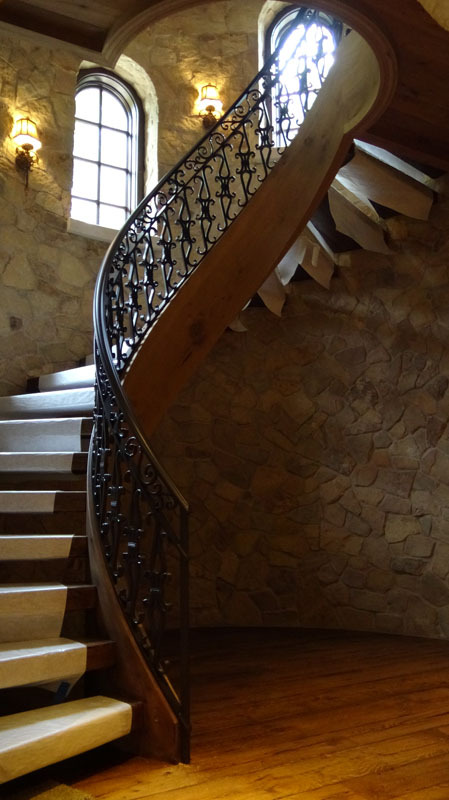 They originally pursued some of Samuel Yellin’s original Wrought Iron Railing designs, but then came up with their own custom wrought iron stair railing design. They wanted all scrollwork to be hand-forged, ALL components, nothing whatsoever to have any non-American origin. They desired a bronze handrail with an antique tarnish to emulate old bronze cap-rail. The correct color was by far the biggest challenge. Original instructions were for a metallic bronze. After research, and developing the process for the correct color, they switched colors to a mottled gold and black. Again, research, develop the correct process, then find out they want something different. The desire then was for a grayish, silver black with gold flecks in the finish. This made for a very, very challenging procedure, but it was done…and once color was finally approved the husband wanted to celebrate with fireworks. 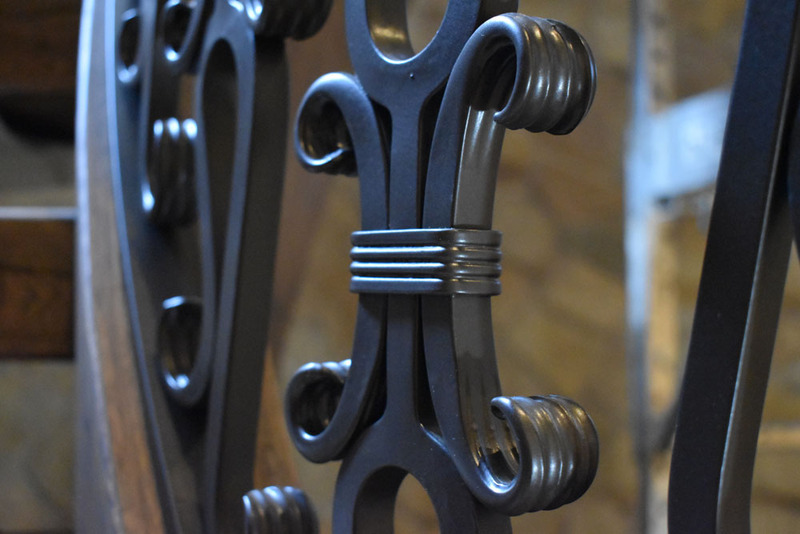 All the hand forging was done of this intricate stair railing design. Custom forged posts and leaves were created. Custom finish applied and installed for a very happy New Jersey client. 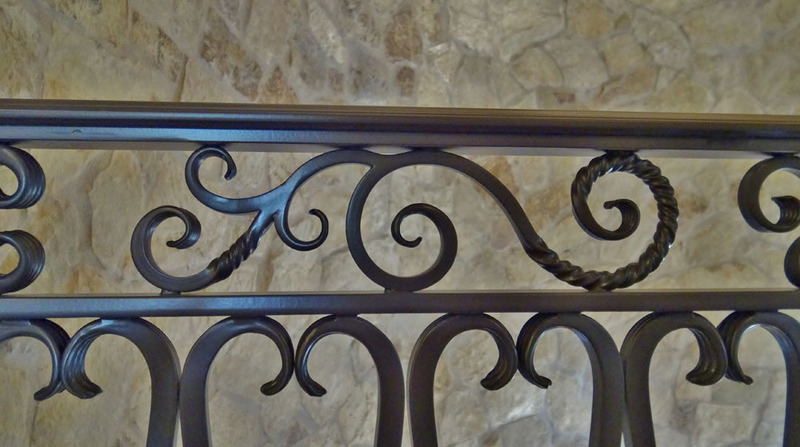 Start to finish was 18 months with all the challenging aspects of a classic Iron railing design and creation project.